The 2016/2017 season has been one of very mixed emotions. High on everyone’s thoughts is obviously the situation with the lease. This is ongoing and is currently in a legal process so not too much can be said but I will expand a bit later in this report. The club is growing, during this season 89 new members joined the even with the lease cloud hanging over the club. This brings our membership to 617 paid up members. The sporting sections have been very active with provincial, national and world championships taking place from the club as well as regular pool leagues. The grounds are looking good and we had a very good December holiday season. There have of course been some negatives and the one that has impacted the club the most is the situation with the kitchen. Fortunately, this has also been resolved and we will see tasty food being served at the club soon. With the general costs of everything increasing the club is still under financial pressure and we have had to cut costs as much as possible. We have tried to avoid these cost cuts affecting the members but the maintenance of the buildings and premises have defiantly felt the effect of these cost cuts. Thankfully members have made donations and we can already see changes for the better on the buildings and grounds. We look forward to a lot more positive inputs from the members to help us get the club back to its potential. The staff under the guidance of Anton have been running things very well. With the financial challenges we have had to cut the staff to the bone but they have been very good at this not affecting the members as the volume of people increases with the season warming up so we will employ the necessary staff. All systems in the club have been working well and Anton has kept the bar stock to a very good level but bar turnover has dropped especially due to the problems in the restaurant. On the subject of the restaurant it has been a very challenging time. We were faced with an operator who did not have a contract so it became a situation where we had to weigh up between spending money on a court process or waiting to the end of the previous operators term. We decided on the cheaper option which was to ride out the term of the previous operator. This term has now ended and we have appointed a new operator who will work on a month to month agreement until such time as we resolve the dispute with the port. Vicky will send out information on when the new operators will be up and running. In the meantime Vicky has done some great work in getting the restaurant looking better with a paint job and there will also be some furniture changes. 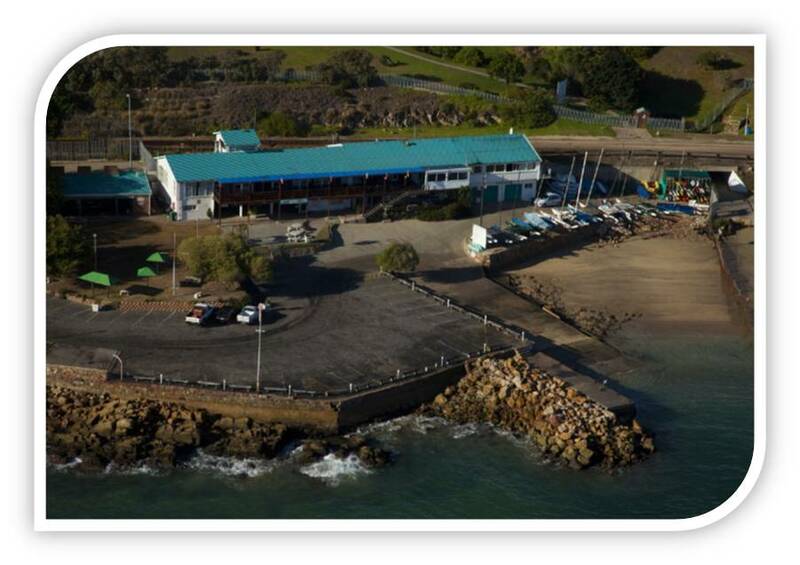 Now on to the lease situation as you all know Mossel Bay Waterfront has tried to take our club away from us by tendering higher than us in the process that TNPA has forced us to follow on this cycle. The shareholders have given the impression that they want to save the club from the current committee but instead of doing it through a very good club constitutional process they have tried to take the club away from the members and put it in an entity that will give all control and profit of the club to them. The current committee held a members meeting in January and it was decided that we should fight this takeover which we have done through a legal process. This is an expensive process but it is for the survival of the club. The clubs legal team filed an Affidavit to request a review and we are currently in that process. More on this from the President. A huge thank you must go to Rauch/Gertenbach for all they are doing for the club. The clubhouse is in desperate need for some TLC and Vicky will be appealing to the members to assist with donations of time money and labor to get the club back to a smart building. The more the members put in the better our club will be please support this. The social section has seen some great events this year under the guidance of Vicky again the lack of a caterer on the premises has made this more of a challenge but nonetheless great things have been done and we look forward to even more greater things to come. In September we held a spit braai on the lawn which was enjoyed by 65 guests. October is the month of ghouls and goblins. Father Christmas (Thank you secret Santa) arrived by sea (Thank you to the NSRI). June is usually cold and a little miserable so we warmed things up with a soup and sherry evening. Our first car boot sale / open day was a great success with over 20 stalls, live music and several new members signing up. The picnic on the lawn was well attended with a live duo entertaining adults and kids alike. The year was ended off with a ladies lunch to celebrate women’s day and the amazing women who are part of the club. Thank you Vick and your team that made this happen I know there are big plans for the next season. The boating section under the guidance of Marius has also had a really good year I even remember the time when some tuna was coming out of the bay so much excitement at the club. Kob Derby was great with 160 entrants and if I may say it myself the best planed one ever. This section has been battling along with some members doing dives but there are new members who are keen to build the section up again so watch this space. HPC section was active during the last year. In addition to regular paddles on the Bay, members participated in official canoe river races like the Breede River and Fish River and in open ocean surf ski races like the Cape point Challenge. Another highlight, although more of a social than competitive nature, was the participation of 8 members in the paddling version of the well-known Camino de Santiago pilgrimage. 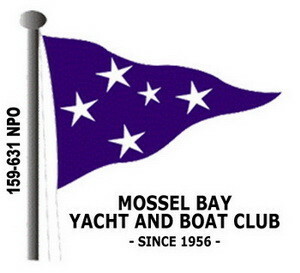 During a Sports Awards ceremony held in Mossel Bay in October 2016 a number of awards were bestowed on members of the MBYC. The award for the best team went to Tammy Holden and Sanmarie Fourie while the senior girls award for schools went to Megan Robertson. At the same ceremony Elfie Holden received just reward for here tireless coaching work when she was recognized as the Coach of the Year for her endeavors towards the development of junior and disadvantaged sailors. The World Fireball Championships for 2016 was held in Mossel Bay from the 4th – 16th December 2016 and attracted sailors from around the world. In total 50 competitors from ten different countries participated. On the 11th April a contingent of 2 coaches and 4 junior sailors arrived from Qingdao in China as part of an exchange program with MBYBC. The club has managed to purchase a previously owned rubber duck equipped with two 40 hp motors for training and rescue purposes. This new acquisition funded by the Lotto will improve our capability to provide a safer environment for our sailors. At any one time there are about 90 learners participating in the sailing training and in 2016 we had 60 new entrants who joined for the first time. Mondays have been set aside for Hi Performance training for those who want to compete provincially or nationally and Toppers, 420,s and 29ers are used for this group. The focus is particularly on improving sailing skills and constant feedback is provided for each boat on the water. 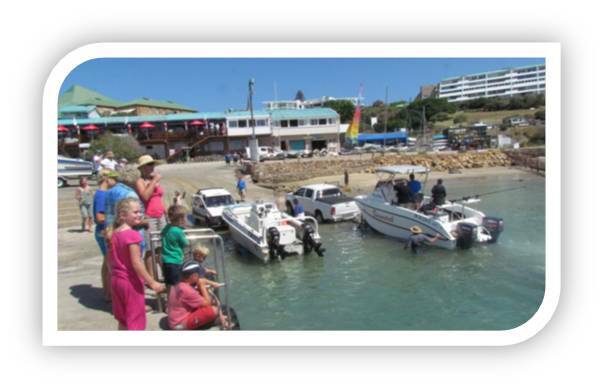 On Tuesdays transport is provided for learners from Ridgeview and Erica schools to attend sailing training at the club. Each child is also provided with a basic lunch and the costs for food and transport is covered by the Sailing School. This introduction to sailing is attended by about 15 to 20 children who find the experience both challenging and rewarding. 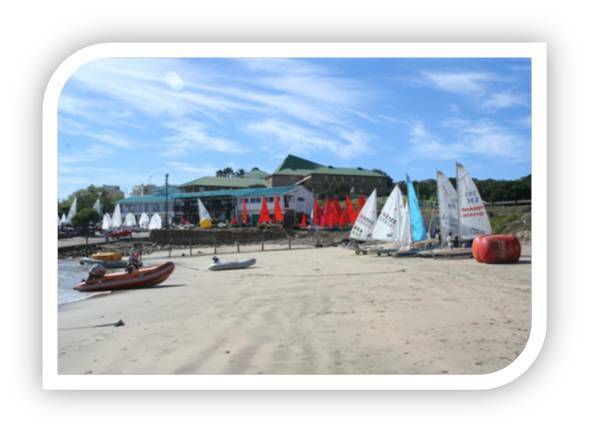 Wednesdays children from Milkwood, Park and Hartenbos attend training at the club and this introduction to sailing benefits 20 to 25 children every week. A grading is provided for each child who has to successfully complete 4 levels of proficiency before becoming “race ready”. DECAS pays for a bus service on Thursdays to collect children from different schools which include Soa Bra, Hillcrest and Diaz primary school . This group consists of up to 20 sailors per session but the total numbers may vary from day to day due to social or personal issues that impact on the availability of the learners. 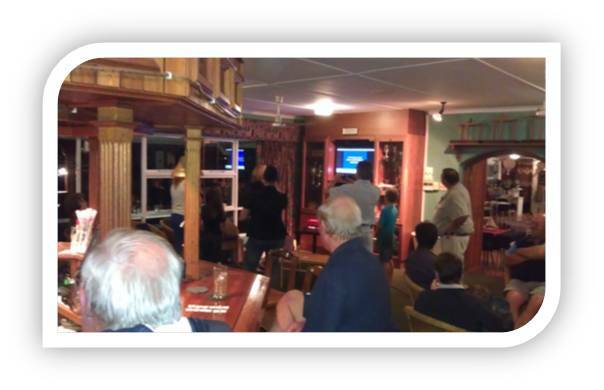 This is a big thing for the club and we currently have the development sailing school in South Africa. The sea cadets still use our premises on a Monday making a great difference in the children’s lives. The moorings has needed a lot of maintenance and TLC and this has all started to happen with a number of moorings owners getting involved to make the moorings a more pleasant place. In Conclusion as I said it has been a tough year but there has been a good atmosphere at the club and we have grown. Thank you to everyone who has played a part in making this a successful year.